Vayarin is a "medical food" that can be used in the "clinical dietary management" of children with ADHD. Vayarin can be used to treat "certain lipid imbalances associated with ADHD in children." One study showed that Vayarin reduced classic ADHD symptoms as compared to a placebo, including inattention, hyperactivity, and restlessness and impulsivity. The usual dosage of Vayarin is "2 capsules daily or as directed by a physician." Although there is no official age indication for Vayarin, it was studied in children between 6 and 13 years. Vayarin has been found to be well tolerated without "major adverse events." The suggested retail cash price for Vayarin is about $60 and it typically isn't covered by insurance. That ADHD could be treated with omega-3 fatty acids is not a new idea. Dr AJ Richardson published a paper, "Fatty Acids in Dyslexia, Dyspraxia, ADHD and the Autistic Spectrum," in 2001 which suggested that "deficiencies or imbalances in certain highly unsaturated fatty acids (HUFA) of the omega-3 and omega-6 series may contribute to both the predisposition and the developmental expression of dyslexia, dyspraxia, ADHD, and autism." And a 2011 meta-analysis of 10 trials in the Journal of the American Academy of Child & Adolescent Psychiatry of "Omega-3 fatty acid supplementation demonstrated a small but significant effect in improving ADHD symptoms." It is also thought that omega-3 fatty acids might help treat people with depression, bipolar disorder, and other psychiatric disorders. But even in this study, the effects were only found for parent ratings, and not for teacher or clinician ratings. The FDA states that a medical food is "a food which is formulated to be consumed or administered enterally under the supervision of a physician, and which is intended for the specific dietary management of a disease or condition for which distinctive nutritional requirements, based on recognized scientific principles, are established by medical evaluation." Keep in mind that the omega-3 meta-analysis mentioned above suggested that "given the evidence of modest efficacy of omega-3 fatty acid supplementation and its relatively benign side-effect profile, omega-3 fatty acid supplementation, particularly with higher doses of EPA, is a reasonable treatment strategy as augmentation to traditional pharmacotherapy or for those families reticent to use psychopharmacologic agents." So that study didn't suggest using omega-3 treatment by itself in children with significant ADHD symptoms but instead suggested adding it to another ADHD drug. Although Vayarin has all of the looks of an FDA approved prescription drug, complete with a Prescribing Information Sheet, it is important to keep in mind that it's simply a medical food that does not have to undergo pre-market review or approval by FDA, and does not even have to be registered with the FDA. Bloch MH, Qawasmi A. Omega-3 fatty acid supplementation for the treatment of children with attention-deficit/hyperactivity disorder symptomatology: systematic review and meta-analysis. J Am Acad Child Adolesc Psychiatry 2011;50(10): 991–1000. FDA. Guidance for Industry: Frequently Asked Questions About Medical Foods. May 1997; Revised May 2007. Manor I., The effect of phosphatidylserine containing Omega3 fatty-acids on attention-deficit hyperactivity disorder symptoms in children: A double-blind placebo-controlled trial, followed by an open-label extension. Eur Psychiatry. 2011 Jul 30. Mischoulon, David. Omega-3 Fatty Acids in Psychiatry. Psychiatric Clinics of North America, Volume 36, Issue 1, March 2013, Pages 15-23. Vayarin Prescribing Information Sheet. Rev. 7/12. Can Fish Oil Really Help ADHD Symptoms? 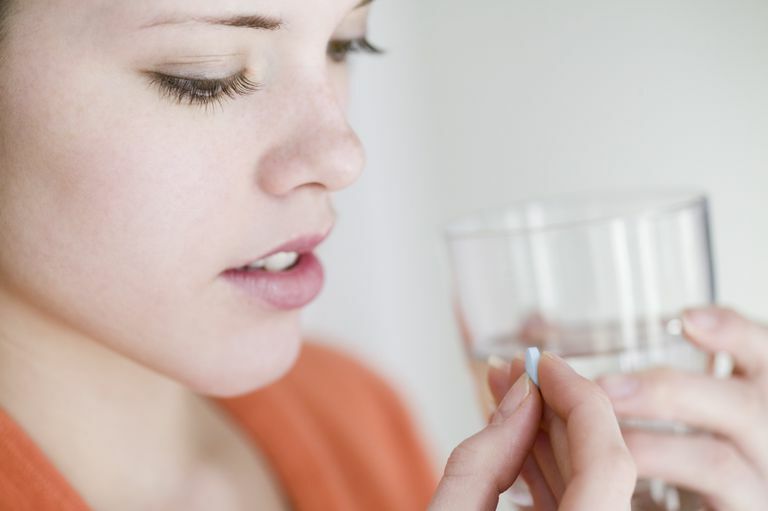 When Can You Stop Your Child's ADHD Medication?